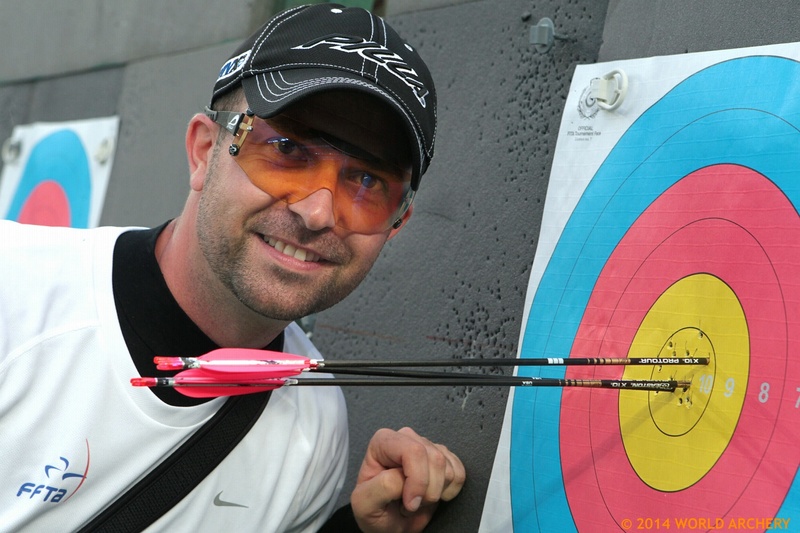 Exclusively on DutchTarget.com, a guest post from international compound shooting PJ Deloche, who talks about life, archery, and bouncing back. Enjoy! I’m PJ, that’s my nickname, short for Pierre-Julien. For international people, it’s easier to call me PJ as we come from all over the world! A guy called Mike gave me the nickname ‘The Admiral’, because of my my fourteen years in the French Navy. In the Navy, they called me ‘Mister Petty Officer’. Andreas from the Beiter factory calls me Lolo. I don’t know why and he doesn’t as well – so that’s ok. 😉 French friends used to say Pierrot… but PJ 😉 is good enough! Dean Alberga asked me to write my story for DutchTarget. It’s a summary of all the lives I’ve lived, where and what it brought me. You probably know that I’m writing a lot on my own website about archery, but sometimes stories about life and the sea as well. When I’m writing I feel good, like a trip into my mind remembering times that just happened or further in the past. I’m planning things which could happen next and how to prepare for them. I’m going to tell good things, and bad things, because both have happened. I joined the Navy in 2001 as a boatswain. I worked on warships, minehunters and commando divers’s supply for three years. I was on deck making all kind of manoeuvres possible to berth the ship, to cross seas and oceans as safely as we can. I worked on maritime charts and on-board radio, trained for firefighting and man overboard, and any situations that may happen at sea. After that, I received a shore assignment. 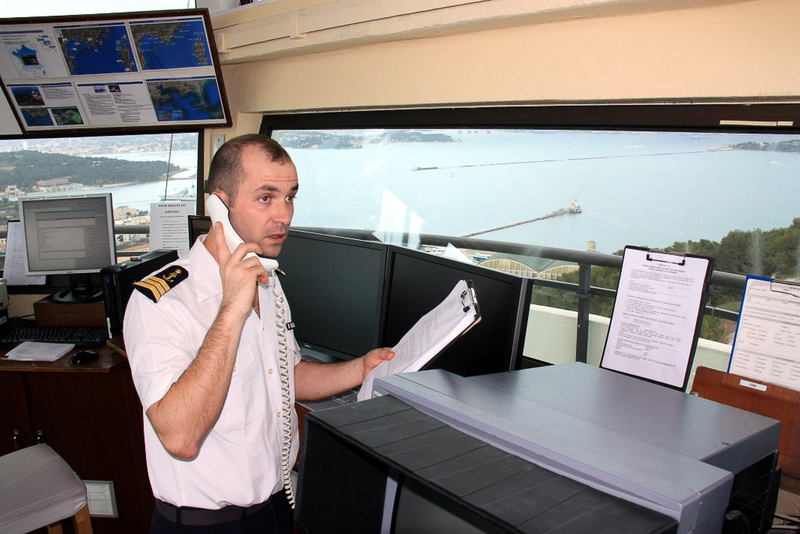 My duty was the maintenance of all rescue boats in the Mediterranean area. I started archery around this time, in 2004, after a working day like any other. When I saw the compound bows, I fell in love immediately. I shot only two or three times with a recurve before switching to the ‘dark side of the force’. The day after, I bought my bow and all the accessories. I was addicted already. I was afraid to shoot at 70 meters until 2006, due to target panic and having the wrong equipment. Arrows ended up in the woods behind the target… I was training archery in a corridor of a Navy helicopter hangar, just me and my target. I made the French team for the first time in 2007 for the World indoor championships in Izmir. I ended up with a fourth place during the qualifying round, sixth individual in the final ranking, silver medalist with the team and world record holder with the team. That encouraged me to continue! But that proved not to be so easy, as I was in the Navy and I still had to convince my officers that archery was a real sport. At this time I was based on the island of Corsica. I moved to another assignment; I became a coastguard working in a M.R.C.C. (Maritime Rescue Coordination Center) and I did until I decided to have a break in 2015. This job is like NASA ‘ground control’ , with a lot of computers and screens, plugs, radios VHF, MF, HF, NAVTEX, INMARSAT satellite, radio distress beacon and numerical charts. I was master of maritime rescue operations, commanding rescue boats, helicopters, planes and shore patrols to go to all kind of assistances : leak, fire, capsizing, grounding, dismasting etc. Communication was the key, to calm down people at sea, on board or down their ship. Time, minutes, seconds, hours… depending the situation, we use every means to be successful. I made thousands of rescue operations, around Corsica island, the whole West Mediterranean sea and from the Spanish frontier to South Brittany. I heard “MayDay! MayDay!” on the radio, so many times. I don’t know how many people I saved with my team, but I know how many I lost. Sometimes, all efforts are not enough against the force of the sea. I loved my job. I made the French compound team from 2007 till 2016. During these years I was both a ‘pro archer’ with the military. In 2012 I won my first individual medal in Ogden USA, a bronze. I won many team medals with the French squad: Dominique Genet and Sebastien Brasseur, but my individual performance was not a ‘routine’ at this time. In 2013 I had a navy captain who understood my sport and he decided to allow me a special schedule to let me practice archery almost every day. I worked during weekends, holidays, nights, but I was practicing a lot. I was finally free from my chains. That year I won thirteen international medals (individual and team). Grand Prix, World Cups, World champs, European champs, indoor and outdoor. The following year (2014) I won something like ten international medals, and kept the number one ranking in the World for the second year, during 601 days. That was a huge honour for me. I was able to bring home to the military some good results, as their ambassador. Everyone around me was so happy for me. The Navy asked me to take an exam to become a master. I did it successfully after one year studying at a military school with the top three ranking. I drove 60,000 kilometers by car that year, with making the French compound team I was running everywhere. Then the Navy told me that I needed to become better in archery if I would like to continue it. I kept the World number 1 rank from October 2013 to June 2015, bringing home international medals. I had a front page appearance wearing my navy uniform on the federal magazine. I was the Navy « Star » in the French Army – but still they said, after that, that I was not an Olympic athlete and I needed to make a choice between archery and army. My mother was suffering anorexia. She needed her son. I felt it was a matter of life or death. I got burnt out with all the diseases in my family. The coastguard who had been saving lives for years couldn’t bring any assistance to his own family and nobody else can do that? I made the only choice. 2014, I started the descent into hell. My aunt died in 2008 after seven years fighting against cancer (breast and liver) aged 53. We were a strong and tight family. That’s an advantage, but also a source of suffering. Her parents, my grandparents, lived in pain for years after this event. Grandma died in 2014 from leukaemia, and we were with her until the end. Grandpa followed, he died in September of 2015 of senile dementia. My family was devastated. The only ones who remained alive were my mother, her husband, my father, and my sister. At the end of 2014 I made a decision to take care of my mother and support the family. I took a legal ‘vacation’ without pay from the Navy. It’s a two-year break which you can renew up to five times. If something happens in the future, I can join the Navy again continuing my career where I left it. I thought to myself; Ok PJ, that’s wonderful what you did for your family, but how can you live without money? I earned money with tournaments I won. I could live off that for about a year. 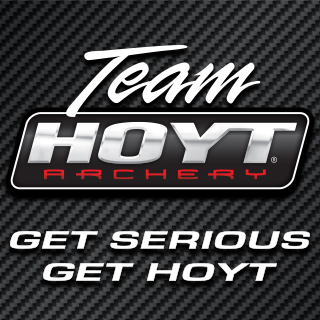 Then, major partners like HOYT, ARC SYSTEME, AXCEL, BOHNING and EASTON gave me a professional agreement, recognizing my audience, my sportsman attitude and performance. I am so grateful for these guys and manufacturers who trust me, PJ, the man who was on top in archery, leaving it all to save his family. Because that is what I’ve done. After Grandpa passed away in September 2015, we hoped for some better days. We lived the best we could until Christmas 2015, just three of us left. My stepfather was sick, my mother’s husband who was like a father to me. We didn’t know what happened yet. He was diabetic and we were used to eating a lot during Christmas. In January 2016, we learned that his diabetes was not diabetes but pancreatic cancer. We were two years late with one of the most dangerous forms of cancer. It was a medical mistake on his diabetes diagnostic. We hoped until the last minute. We knew that the end could be very soon. I went into hospitals, in France, in Switzerland, his country, supporting my mother with her anorexia. We moved mountains to fight against this disease too. At the same time, we learned that my sister had a brain tumor. WTF ? Fortunately for her, she is not in danger, but she must keep a sharp lookout on it. I say words as I feel it. Forgive me if it shocks you, but it’s life as well, nothing is really rose-coloured forever. That’s a good reason to live every day as it deserves to be lived, fully. This story ends in Switzerland, while I was looking after my stepfather. It takes all the energy you have to work in a job you’re not trained for. Not in your own country, in the context of pain, disease. I wasn’t able to do anything else during the last four months. Just before that time, I found energy to go to the FITA nationals, because it took place very close to Switzerland. So I did it and finished with bronze. You may not know what it means, but it’s very good ! That gave me some more good things in my life, encouraging the rest of my family to keep on fighting. It was a real battle, every day, every night, there was no rest, no break. Archery and the navy were so far from my mind. I was completely lost in the pain. I spent four months away from my home, accompanying my stepfather ,my mother, supporting my sister, missing my girlfriend. We’re not married, how could we think about that while I’m going through such bad things? The end was on 14th November 2016, with death. Relief? Pain? I felt both. Life has been hard these past fifteen years, losing four of us. Still counting? My mother is healthy, my sister as well and I’m still living with my love. Things are going better and better.  I saw the new bows from the HOYT factory, which has been released mid October. These new toys rekindled my passion for archery, the equipment, and all the beauty of our sport. I had not had any contact with the American factory for a long time, so I decided to buy my bow, even if I couldn’t pull it yet. My chocolate-colour Prevail stayed screwed on the wall in my Swiss flat for five weeks until I could tune it and shoot it. A couple weeks after my last sad loss, I received an invitation to go to the inauguration of the World Archery Excellence Center. I was not so far from Lausanne so I thought: why not? It was a good thing to break the sadness. 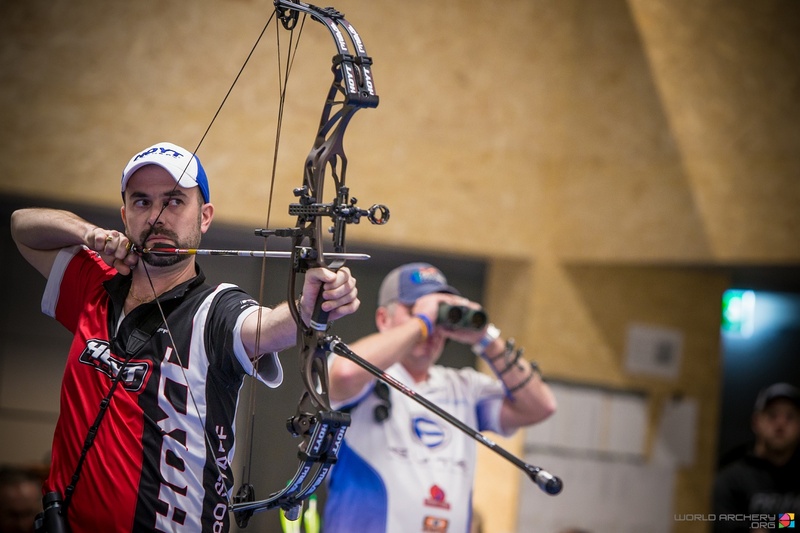 The Lausanne Archery Classic was not an easy thing: after being World number 1 for two years, people were waiting for you. They wanted to see beautiful archery and someone available to answer their questions. It was good to feel a bow again, not pounding the X as I wanted to, but almost. I found so good things during this tournament and I won the silver medal. Pure adrenalin. I won a medal in every cup or championships that exist on the World Archery circuit. Maybe it’s time to change something? Or may be not… I loved long range shooting at 90 meters, I loved the indoor target face with the big 10, or 11… and now it’s difficult to find these tournaments. It’s only a small X in a yellow ocean, or a 80cm spot at 50 meters. 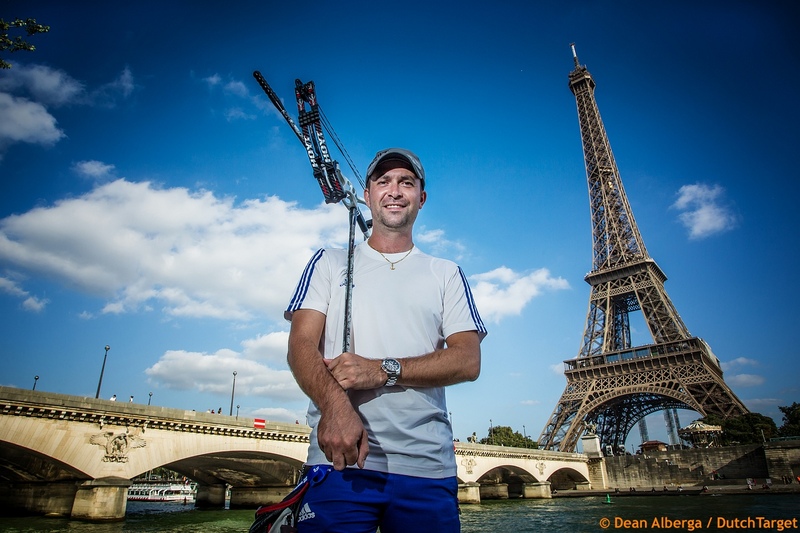 I would love to experience something different, but I would love to win at least one more World Archery medal! It’s too early to answer, I’m training, I’m thinking, but first I will enjoy shooting my bow again. I’m training almost every day now, and I find pleasure, accuracy, & consistency. I found accuracy at the end of this past indoor season, and I want to make it real for outdoor as well. Some people told me I already lived thousand lives. That’s funny. I only know that I had around almost one hundred different bosses, fifteen jobs, forty-five international medals, I moved from a flat twenty times and I had three hundred days per year away from home for fifteen years. I deserve some vacations (I didn’t take any days out yet), and it;s time to let things start happening normally. Now it’s World Cup time again. I’ll be in Shanghai. I’m happy about that. Some family things are about to end this year, I’ve some duties to manage, but step by step, I will go back to archery. 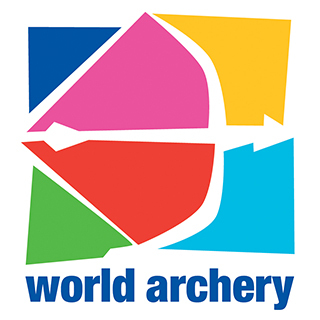 A good philosophy, archery has a lot of good times, with beautiful events and destinations, good friends, and that feel when you win a world class tournament. Bad times in archery don’t compare to your family.